For Ian’s nine month birthday, I toured the archives of husband’s phone and found a few gems. Newly pregnant Mandy out for an early brunch because that's when she could actually consume food. 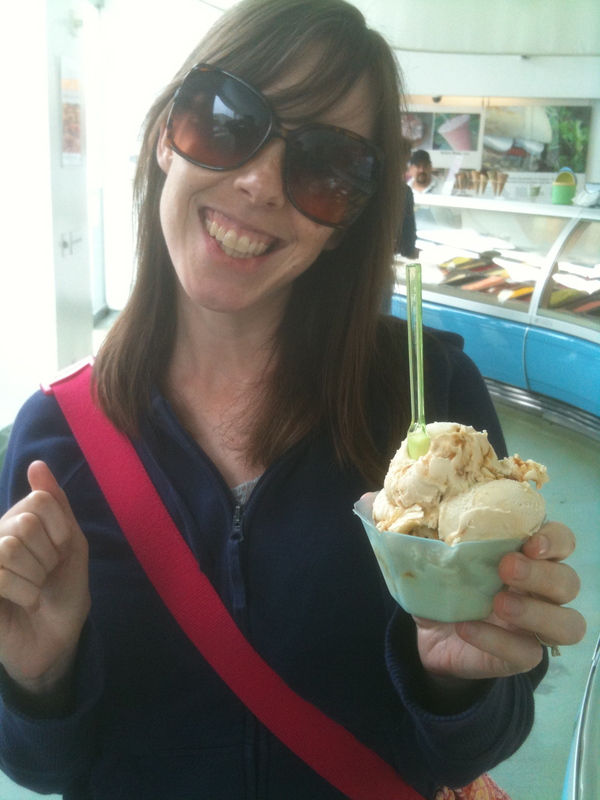 Here she is getting a double scoop of gelato. You know, one for the baby. 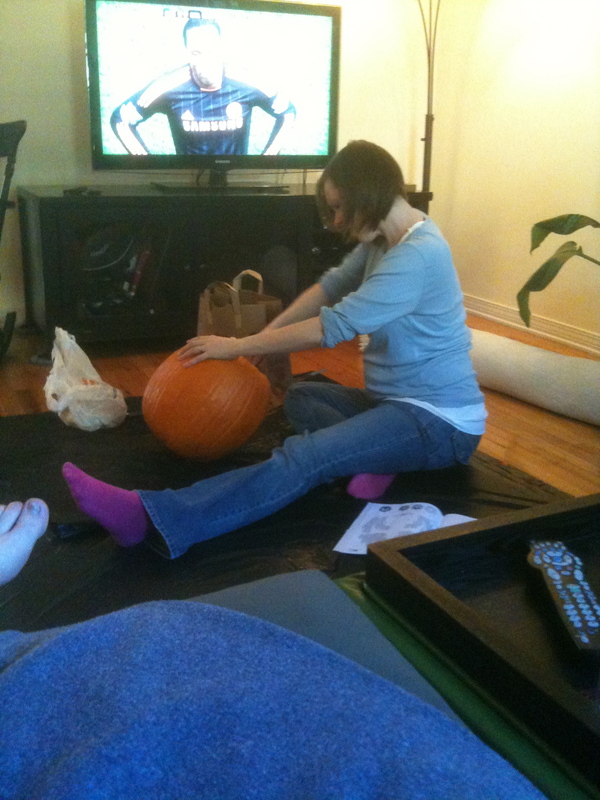 7 1/2 months pregs carving a pumpkin. Man, I did carry small! 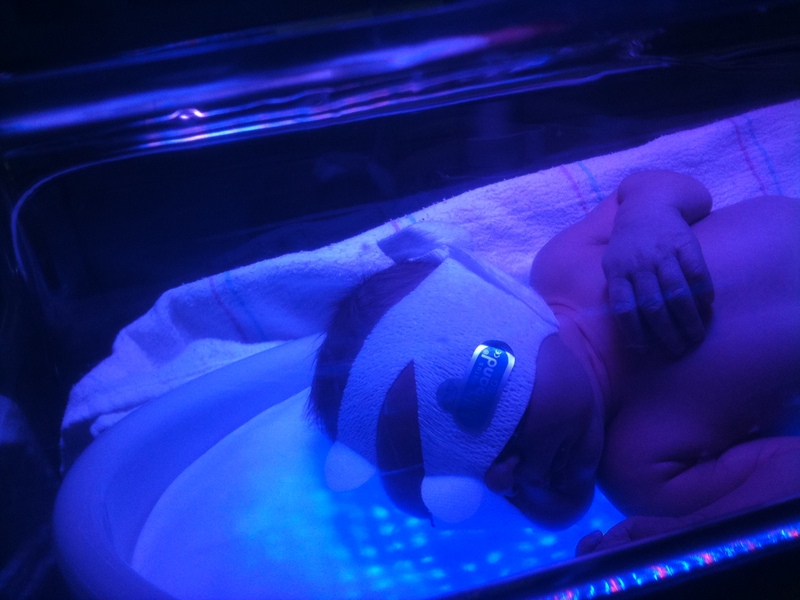 Two days old under the jaundice lights with his little eye mask on. SAD. FACE. His umbilical cord fell off at the hospital. Guess the lights dried it out. 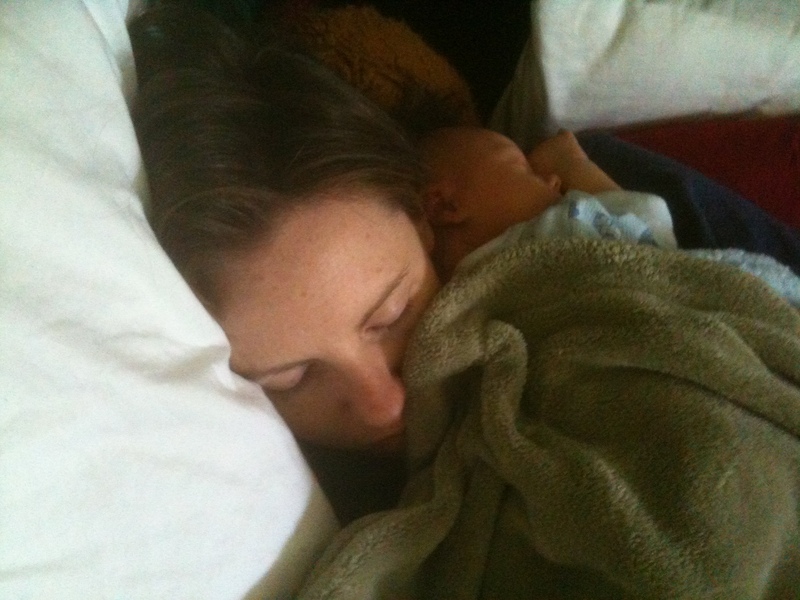 Mama and babe napping on day 11. Love the photos, Mandy! (except the jaundice one makes my heart tremble – that must have been nerve wracking!). Can you believe how small they were? Or how big they are now? It’s going so fast! Congrats on the new teeth and the “Daddy” – how exciting!